Z-Wave light switches are the modern alternative to controlling the indoor or outdoor lighting. Gone are the days when people used to get up every time in order to turn the lights on or off. The fully automated Z-light switches provide you with the comfort of controlling the lighting from a smartphone, tablet or PC. The remote-control operation of light switches is the new revolution that every household needs, no matter what. You can sync a single light switch with many lights or appliances. 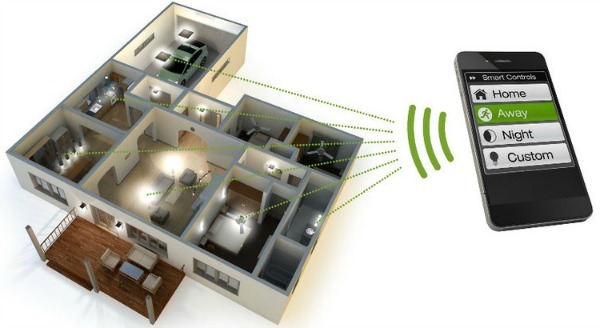 It can be done by wirelessly pairing the switches to control lights from a distance. The user experiences the ultimate in-home automation of light with the intuitive control system of a Z-wave light switch. You will discover that it is really easy to control the lighting on your command whether it is indoors or outdoors. A Z-Wave light switch provides easy management of the lighting inside or around the house with a fully automated system. 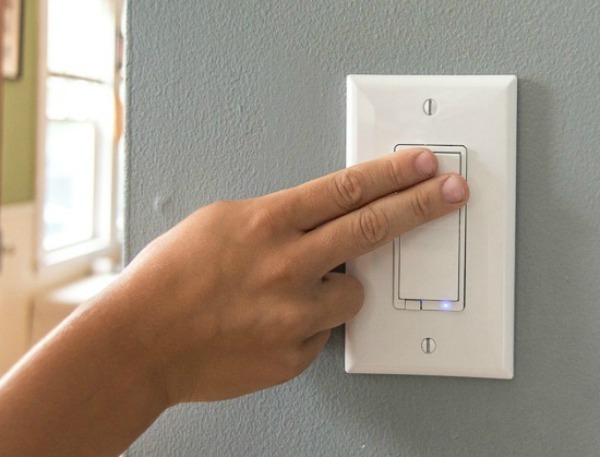 With a Z-Wave light switch, you can also connect one switch to multiple light switches or appliances so that you don’t have to bother turning them on or off separately. The event-based control of the Z-wave light switches imparts an added security feature to your house. A Z-wave light switch enables automated lighting. This offers energy savings as the automated system doesn’t demand any interaction. 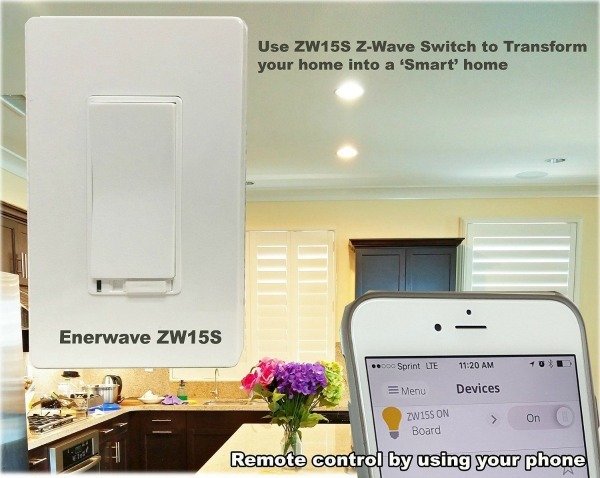 Replace your traditional dimmer switch with the HomeSeer Wireless Z-Wave wall dimmer and enable easy Z-Wave on/off dim control at your home. Compatible with CFL/LEDs up to 150 Watts and incandescent up to 600 Watts, the dimmer lets you control the light or even turn it on/off easily. You can brighten or dim the light at your own will. 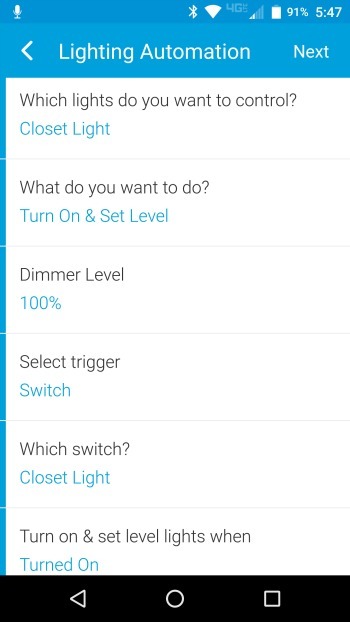 The other noteworthy thing about this dimmer is that it comes with the ‘central scene’ Z-Wave command class which lets the users trigger up to six automation events. Not only that, it also works as a scene controller by tapping the rocker switch in 6 different ways. It comes with Z-Wave Plus certification for compatibility with wide range of appliances. The product also lets you save on energy and can customize lighting as per your choice. GE Z-Wave Smart Dimmer can transform any home into a smart one with its intelligent features and automated lighting control. The best thing about this is its compatibility with Amazon Alexa for voice control. You can create an ambient effect or interior lighting scenes with just a single tap with this one. It provides flexibility of adding up to four GE Add-on switches for multi-switch applications. It comes with a blue LED indicator that helps you locate the switch even in a dark room with ease. The other great thing about this one is that it is compatible with any Z-wave certified gateway. Apart from that, it is also compatible with Wink App. Enable wireless control of the CFL, LED and incandescent lighting inside or around your home to create the perfect ambiance. You can also customize the lighting output using the dimmer feature so you can save some extra bucks by lesser energy consumption. The Leviton Z-Wave light switch is the next level technology designed to support dimmable CFLs and LEDs along with Halogens, Mark10, and magnetic lighting loads. It not only offers universal lighting support but also provides sophisticated technological features on command such as security and beaming. Equipped with highly advanced Vizia RF technology, it is capable of producing dimmer features with 49 different fading rates and transient surge suppression. The innovative style makes it best choice to blend into any décor for homes or offices. The switch features a horizontal LED locator with a brightness indicator bar. The futuristic design of Leviton provides flexibility and ease of access to the users. It is universally supported by most of the security systems as well as home automation systems. The flattering design of these switches is also optimized for use in Z-Wave door locks. 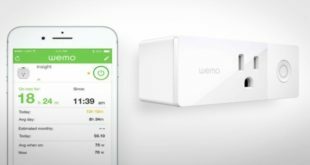 It also works with Amazon’s Alexa and supports dimming feature through easy voice control. Eaton’s Light Switch can easily control up to five RF devices with added security features such as Child Lockout and Panic Mode Compatibility. This model can offer 3-way control, thanks to its compatibility with Aspire RF Accessory Switch. This eliminates the need for traditional 3-way wiring system. The other noteworthy feature of Eaton Switch is a programmable delayed OFF feature. This feature will turn off the lights in intended time if not in use. That makes it ideal for kids’ rooms or areas where lights are left on often. With Eaton switches, you can enjoy the convenience of controlling multiple switches with a click of one button. Coming to the design of the switch, it features a decent alpine white finish that looks very attractive and modern. All in all, it will go with any décor – rustic, modern, casual or cozy. This switch offers all in one lighting solution along with energy efficiency, safety, and productivity. The GE- Z-Wave switch offers the lighting control wirelessly from just anywhere. You can schedule, control or adjust lighting and control the brightness of any dimmable ceiling or wall light. The GE smart dimmer offers ultimate flexibility to control lighting with any mobile device. It can facilitate full-range dim ability that also saves a lot of energy. So, it will prolong the life of the light bulbs at your home. As compared to other classic Z-Wave light models, the GE Z-Wave Plus is a smarter dimmer by offering 50% more energy efficiency and wireless range. Not only that, it works with 250% faster processor and 400% enhanced memory. Coming to its installation, it is easy to install with your existing home wires and can be used with a single as well as multi-switch applications. It offers complete control from mobile devices without any issue. This wall-mount dimmer switch from Linear lets you wirelessly control your light switches with its GoControl Smart Dimmer Switch. You can turn the lights on or off, control dimming, change color with its Trim Ring Kit and control operations remotely. It is compatible with all Z-Wave certified devices making it easy to install. With a capacity of 500 watts, it lets you control pre-installed halogens, fluorescents, and LEDs at your home. The dimmer accesses the Z-Wave network to control the brightness of any lights associated with it. 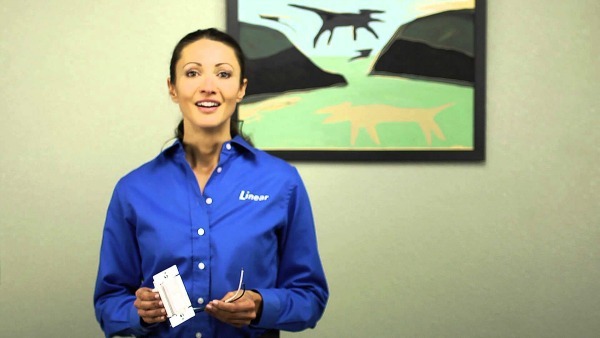 The other smart feature about Linear Wall-Mount Dimmer Switch is that it can act as a repeater to extend the Z-Wave network by an additional 130-feet. It also supports the Association command class which can control other Z-Wave devices as well. The switch comes in classy design in white with a Z-Wave smart chip that enables two-way RF (Radio Frequency) communication using the international wireless standards of Z-Wave. The Enerwave light dimmer is compatible with 3-way lighting to facilitate control from multiple locations. 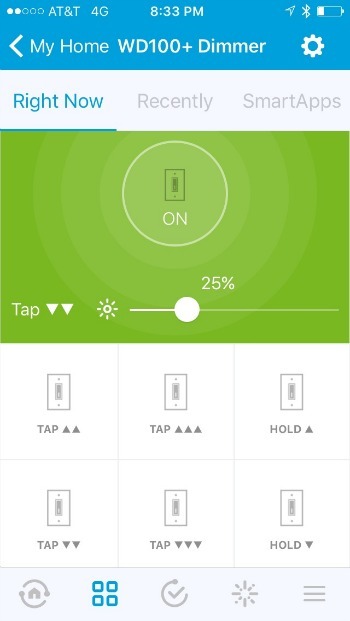 You can remotely control the lighting, dimming, turn on or off on will and remotely perform all these functions with a click on your mobile device. 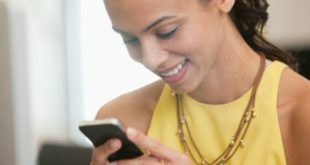 It works flawlessly with iPhone, iPad, tablet or Samsung Galaxy. The smart light dimmer switch comes with Z-wave association feature that enables remote control operation for enhanced home security and energy efficiency. The switch is compatible with all other certified Z-Wave devices. It also acts as a repeater to extend the range of RF signals. Coming to its design, it features a sophisticated design and comes with two extra interchangeable covers – black and light almond. The Leviton’s Decora Switch is a universal switch designed to use for residential lighting purpose as well as commercial spaces. It is compatible with all Z-Wave certified switches. It offers compatibility with a large range of loads such as halogen, incandescent, magnetic low-voltage, magnetic high voltage, fluorescent and more. This switch is also compatible with the Wink Hub and is well optimized to use for Z-Wave enables automation hubs, gateways, and controllers. It comes with a built-in transient surge suppression feature. The switch also offers voice control through Amazon Echo and SmartThings. The switch is ideal for any home setting with its low-power remote operation. It can be used as a single pole or multi-way switch with its remote. The GE- Z-Wave Wireless Lighting Control Three-Way On/Off Kit will replace the traditional the 3-way switch configuration to facilitate remote control of lighting through any device. 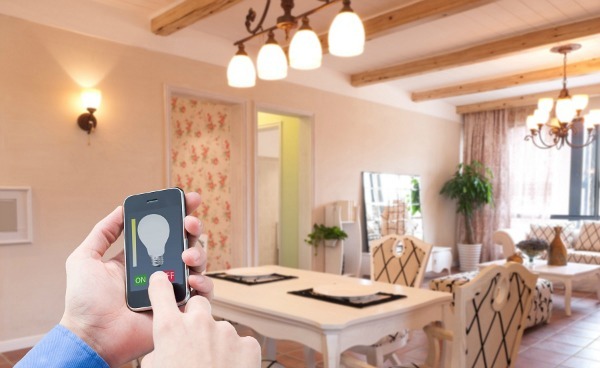 You can wirelessly control as well as turn on/off the functions of halogens, incandescent, LEDs, xenon and other pre-installed lighting. 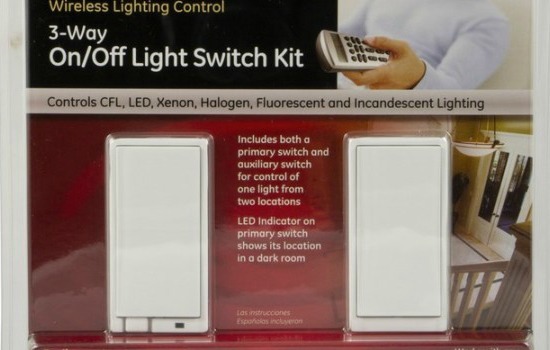 The kit comes with a primary switch and auxiliary switch to control light as well as locate the switch in a dark room. The kit is perfect for residential spaces and especially for set up in halls, multi-entrance rooms or stairs. The design of the switches looks modern and stylish with a glossy white finish to match up with any interiors. The switch can be used to control multiple lights with just one switch which contributes to the energy efficiency of your home. You can create ambient interior lighting scenes using its dimmer lighting control or customize lighting scenes for any occasion such as movie night scene or sleep scene. It comes with a 3-way dimmer kit which enables wireless control of lighting. There are two switches – primary and auxiliary to control lighting from two different locations. That makes it perfect for controlling incandescent lighting in residential spaces, particularly in hallway or stairs. 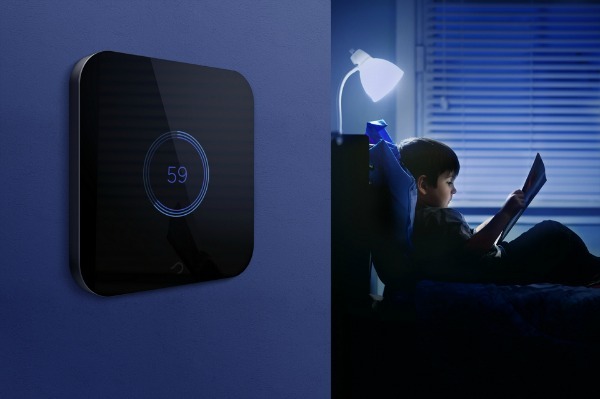 The dimmer feature of the switch lets you customize the lighting and control the ambiance of any room. The dimmer will replace your traditional switch and provide Z-Wave wireless control of lighting. The primary dimmer includes an LED indicator to locate it in a dark room. GE Z-Wave provides affordable and an easy-to-install system for any residential as well as commercial space. You don’t ever have to worry about leaving the lights on with its schedule light turning off feature. You can now remotely control the operation and give an illusion that someone is at home for an added home security and prevent thefts or other such instances. This one works perfectly with Amazon Alexa, that lets you control lighting with your voice. It is easy to install the switch using neutral wire. Well, the Linear Wall Mount Dimmer Switch surely emerges as the best among all the popular Z-Wave light switches in the market today. It has everything that you need in a Z-light switch. This switch comes with a Smart dimmer switch to let you control lighting, achieve dimming effect, create the desired ambiance with light or remotely turn on/off lights using any mobile device. It is an affordable choice that has multiple lighting control options. There is also enough power for all your switches and at the same time, it takes care of energy efficiency. All in all, the Linear Dimmer Switch can be the best lighting controller for your home, that comes with the flexibility of use and ease of access for the users. 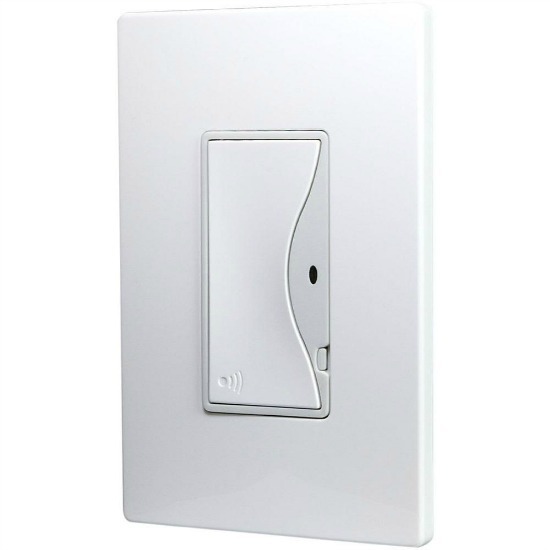 Let us know what you think about these Z-Wave Light Switches. Also, point out if you know of any other switch that deserves to be on this list!